Littermate to King Indy. She is one of the most unique females we have raised. She definitely inherited some of Walter’s traits. 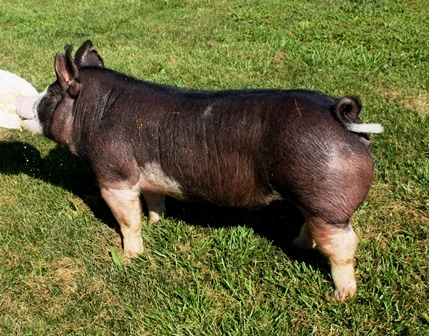 She is more boxy and heavier muscled than her mother. 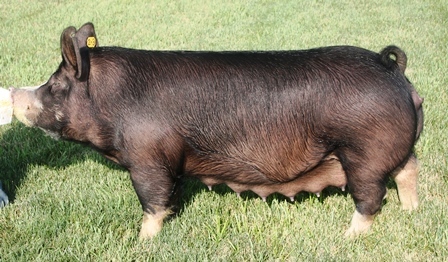 She is a powerful, heavy structured gilt with big wide-spread blades, wide top, and a long deep hip. 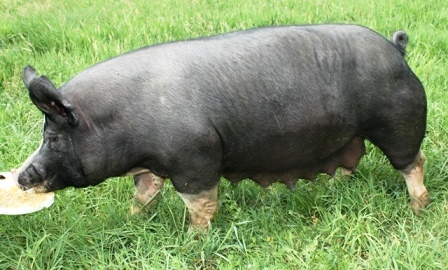 She is big boned, has excellent angles on her hind legs and is super flexible. She was raised on pasture and we were glad to bring her back home. 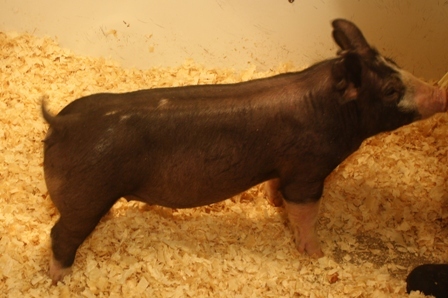 4th in Class at White County Fair – “A high quality gilt,” Seth Swenson, Judge. 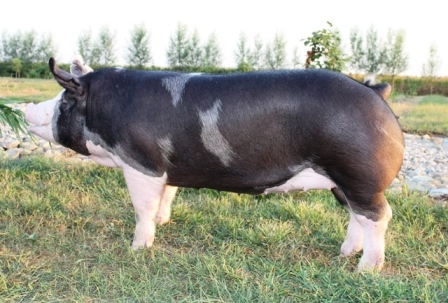 4-5 has the look of being a “barrow-maker!” She has mass and power in a stylish design. She is chisel-fronted, explodes out of her blade with curvature of rib and crisp wide level top. Her hip design is nearly perfect. Her structure is impeccable. It’s hard to make them this good with feet and legs, but 4-5 probably has the best angles on all four legs in our herd. She is one true powerhouse with lots of flexibility. 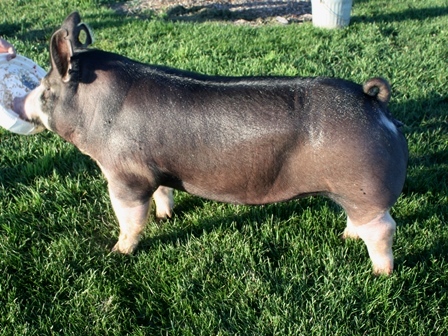 Miss Magic 4-7 was our pick out of 7 gilts. She is a stout and powerful female with a clean head and neck that transitions smoothly into her massive blade, top and hip. 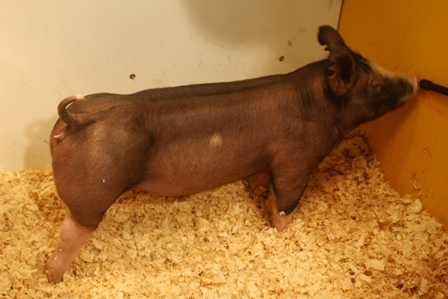 She has big rib and is wide on her base. She has excellent feet and legs, bone, and has a long stride. Thanks to Beau Middleton who fed and showed 4-7. 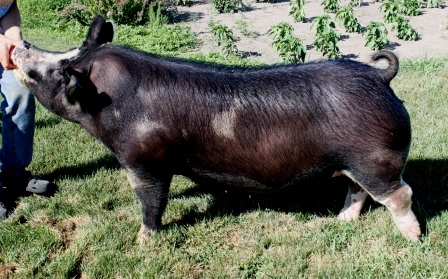 Miss Magic 14-1 is one of the more unique females we have raised. She has impressive width, stoutness, and structure. 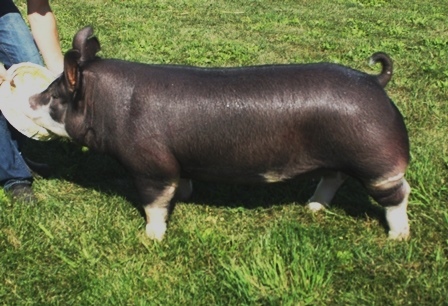 She lays in a wide and level top with a square crisp loin edge out of her blade to her hams. She is heavy bone with one of the most correctly designed hind legs and hock set. She was our pick of a very deep litter. 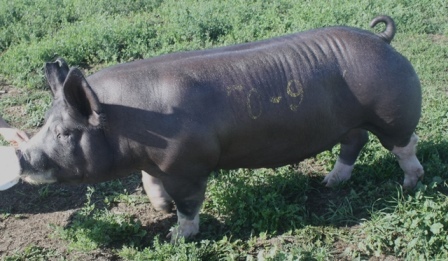 Her sisters were popular among buyers. 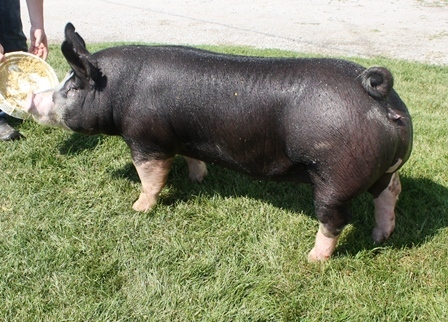 Tested meat quality in her pedigree–Hostile Takeover was #1 and Walter was #4 for PORQUE in 2013.